Had things turned out differently, you would probably know Richard Brand as an award-winning journalist. The former Miami Herald reporter expected to return to the beat after NYU Law School, but instead he got hooked on corporate law while working as a summer associate at Cravath. Brand has since developed a diverse and acclaimed practice that blends traditional transactional work with shareholder activism and defense, representing corporate boards and hedge funds. He brought his practice from Kirkland to Cadwalader in 2015, and became co-chair of the corporate group the next year. Lawdragon: You seem to handle a unique mix of corporate matters. How would you describe your practice? Richard Brand: I am very fortunate to have a law practice where I work on different types of matters every day. One day I’ll be handling a sell-side M&A assignment from a public company client, the next I’ll be advising an activist investor running a proxy contest to obtain seats on a corporate board, the next I could be helping a celebrity sell a liquor brand to a conglomerate, and the very next I might be off to Europe, advising a Greek shipping company in a capital raise. What ties it all together is that my clients are looking for creative and actionable advice that pulls in experience in multiple corporate practice areas – M&A, corporate governance, finance. In addition, many of my matters involve boardroom battles and other related corporate disputes, and so I work closely with Cadwalader’s litigators, frequently using litigation as a tool to help my clients achieve their business goals. My practice is many things, but it isn’t dull. I’m extremely lucky in that regard. LD: What was the genesis of developing this type of practice, where you handle traditional M&A, takeover preparedness and both sides of shareholder activism? RB: During the early stages of my career, I worked at law firms and with more senior lawyers whose corporate practices were very broad in nature. 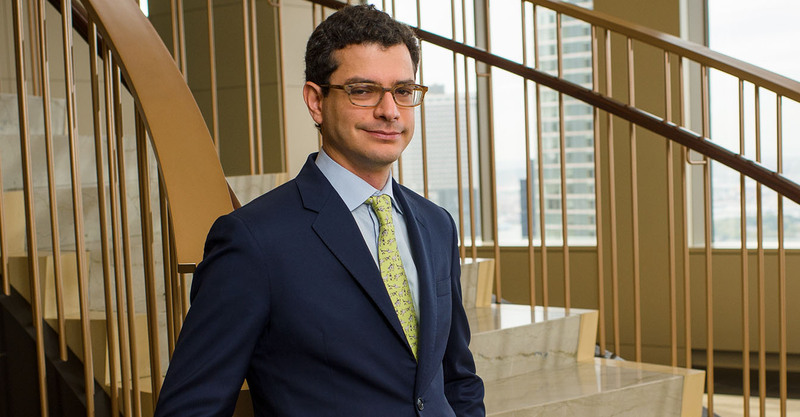 At Cravath, where I started my career, corporate lawyers rotated through M&A, securities, finance and corporate governance practices, and in some cases, they didn’t stop rotating until they retired. 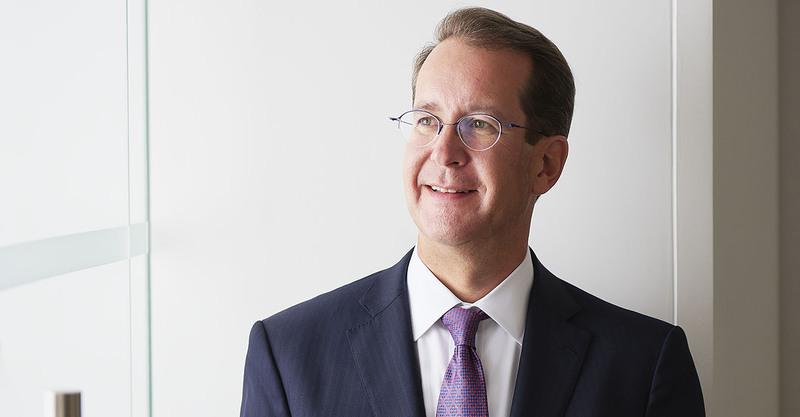 At Kirkland, I worked with partners David Fox and Steve Fraidin, who also had well-rounded corporate practices, and their clients sought them out for help well beyond traditional M&A. But times have changed and, as a result of the increasing ultra-specialization of transactional work and practice, there are fewer and fewer transactional lawyers who maintain those types of broad practices. In my view, Cadwalader has it right. The firm’s more traditional, broad approach to corporate practice is both a better way to practice corporate law and more valuable to clients. Another way my practice is unique is that I maintain a broad corporate practice and will still unapologetically represent an activist hedge fund. Shareholder activists tend to be extremely high-quality, sophisticated clients who generate extremely interesting, challenging and important work. At Cadwalader, we tend to represent only the largest of these investors – funds that control billions of dollars in capital and who are responsible and serious in their approach. Building off the strength of our activism practice, we are frequently engaged by public company boards to advise them responding to activist investors. Our experience on both sides provides a valuable perspective to all of our clients. Last year, for example, in a high-profile matter, we helped the board of Ashford Hospitality Prime prevail in litigation and a months-long proxy contest with an activist hedge fund. Our experience representing large investors was very useful in achieving that outcome. Similarly, when we are advising investors, we can provide insight into how a company and board is likely to react to a strategy. Activists aren’t always right, but they aren’t always wrong either. We take a commercial approach to this issue. LD: What else excites you about your practice? RB: There is a fine line between excitement and stress, and in my practice I experience my fair share of both. I care deeply about my clients and their matters and so pay a lot of attention to things. It can be a lot of fun – though very stressful – when you are helping a client develop a strategy that is critical to the success and future of their business, their careers. There is little room for error. LD: Are there trends you are seeing in any facet of your practice? RB: On the private equity side, there is a lot of capital, or dry powder, waiting to be deployed by investors – but investment opportunities are few and far between. As a result, I think we will see private equity sponsors become more aggressive in their approach to sourcing deals, including by adopting activist investor strategies, like taking toehold positions in targets to put them in play. LD: Why did you join Cadwalader as opposed to staying at Kirkland? RB: Kirkland is a great firm, and I had a terrific experience there, learned a lot and made many close friends. Cadwalader is such a well-known firm, with a remarkable 225-year history, and it was a better fit for me with its smaller size and focus on financial industry clients, including banks, insurance companies, broker-dealers and, of course, hedge funds. Cadwalader offered me a great opportunity at a younger age to play an important role in the future direction of my practice area and in the future direction of the firm. LD: Going back farther, what did you think you would end up doing with your life when you went to college at Princeton? RB: I thought I would be a newspaper reporter, so I took a job reporting for The Miami Herald right after graduating Princeton. For a 22-year-old, there is no better job. You write a lot, meet interesting people and learn something new every day. It can also be a bit head-inflating. Mayors, senators and all sorts of famous people would return my phone calls. They don’t anymore now that I’m a lawyer! LD: How did your interest in being a journalist develop? RB: When I was in high school, I wrote for the school newspaper – where I met my wife, a fellow young reporter. In college, I worked as an on-campus stringer for various news organizations, including The Associated Press and The New York Times, covering Princeton sports and other news, including politicians and sometimes controversial speakers coming to campus. In the summers, I worked at AP bureaus abroad – in Madrid and Caracas. I met Hugo Chavez. I was certain this was what I wanted to do for the rest of my life. I left journalism to go to law school with the plan that I would return to The Miami Herald after I graduated. Things didn’t turn out that way. I really enjoyed my experience as a corporate summer associate at Cravath – and decided to change course. I still miss the newsroom, but I love what I do. LD: Was there a course, professor or experience at NYU Law that pushed you towards a transactional practice instead of another area? RB: I took David Katz’s M&A course when I was at NYU Law. David is a senior M&A partner at Wachtell and a legend in the field. He was also a great teacher. That class was an important reason why I pursued transactional work, M&A in particular. David made it sound very fun. Today, David and I sometimes work together on matters. I recently represented hedge fund Pershing Square in its investment in and agreement to refresh the board of directors of Chipotle. David represented Chipotle. It was a pleasure to work across from him and his team. LD: Did you have mentors at Cravath or Kirkland whom you can discuss as having played a key role in your development as a lawyer? RB: The most important mentor I have is Steve Fraidin, who was a partner of mine at Kirkland & Ellis and is now the Vice Chairman at Pershing Square, a client. Steve took an interest in my practice and my development as a lawyer and took me under his wing. We worked on a number of important projects together, and I learned so much from him during every one of them. He is so smart, also a great teacher. One of the best things that ever happened to me was having Steve as a mentor – it has made a huge difference in my career. Other lawyers who have been there with advice and support through the years include John Gaffney at Gibson Dunn; David Fox, Sarkis Jebejian and Edward Sassower at Kirkland & Ellis; Alison Ressler and Alan Sinsheimer at Sullivan & Cromwell; Chuck Nathan at Latham; Steve Arcano and Richard Grossman at Skadden; and, of course, my colleagues here at Cadwalader, especially Chris Cox and Bill Mills. These are people who I have worked with or across the table from, and who have become important sounding boards for me in my practice. They are the people I call when I am seeking a sanity check or thoughts on a tough situation. LD: Is there a legal matter you’ve worked on – from any part of your career – that stands out as particularly memorable? RB: When I was at Kirkland & Ellis, I worked on an out-of-court restructuring for a Danish shipping company called Torm, representing a group of charter-in tonnage providers, a mix of small and large international ship owners who were a major creditor class. The project consumed my life for nearly a year, took me around the world – to London, Singapore, Copenhagen, Hamburg, Munich, Amsterdam, etc. – for negotiations. There were no useful precedents. It wasn’t M&A, it wasn’t bankruptcy; it was just a really hard deal and the end product was a 600-page restructuring agreement that required a huge amount of commercial compromise and creative lawyering to reach. Although the deal closed over five years ago, everyone who went through it formed deep bonds, and we remain in touch with one another. Those are the type of projects I love to work on – when there’s no useful precedent, you are starting from a blank slate and have to figure some hard things out. LD: What do you do in your spare time? RB: What is spare time? Don’t understand the question.